A Nordic brand that has been on the market for over a century now. I have tested a few pairs of trousers in the past but never owned one of their products until now. It just happened to be the only one to match my requirements so I kind of had no choice but to try it out. Haglöfs Barrier III Hooded Jacket is a multipurpose insulated jacket. It comes in a variety of colors, it’s packable and and not too heavy either. I personally purchased it for urban use while on a sale from amazon. The price varies depending on color and size between £80 and £150. The size is on the small side. I have an European S (92cm chest) with just enough room for a sweater or a light fleece but not both. The waist however is very tight. Thought of going up a size but then the sleeves would have been too long. 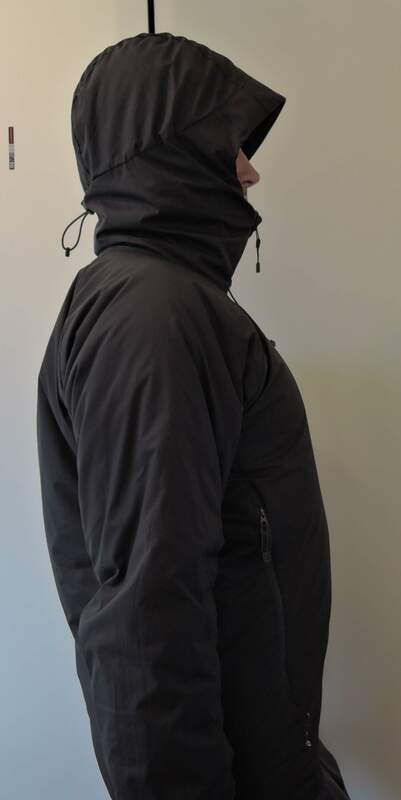 The hood is perfect sized and can take a helmet if needed. It has a draw cord at the back and two in the front. That allows to be compressed nice and tidy around the face and works efficiently keeping away the wind. 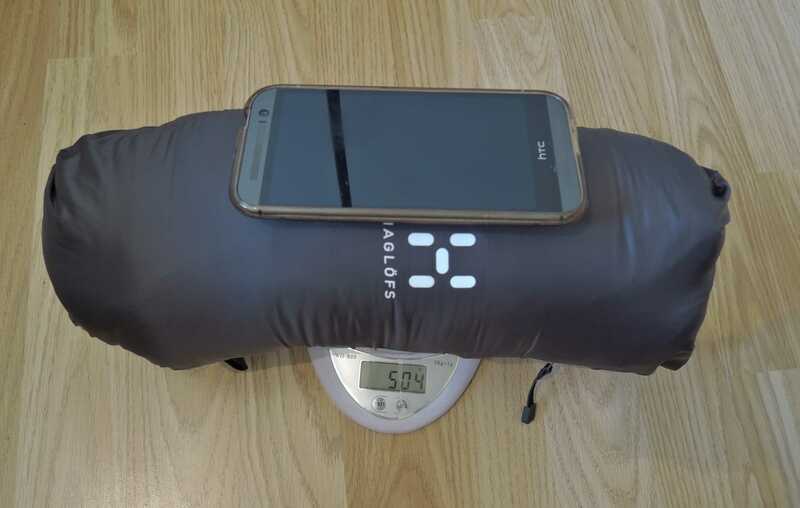 Is filled with 80g/sq m of Haglöfs’s QuadFusion synthetic insulation. The sleeves have a nice sleek cut but I find them somehow a bit too long in relation to the body. 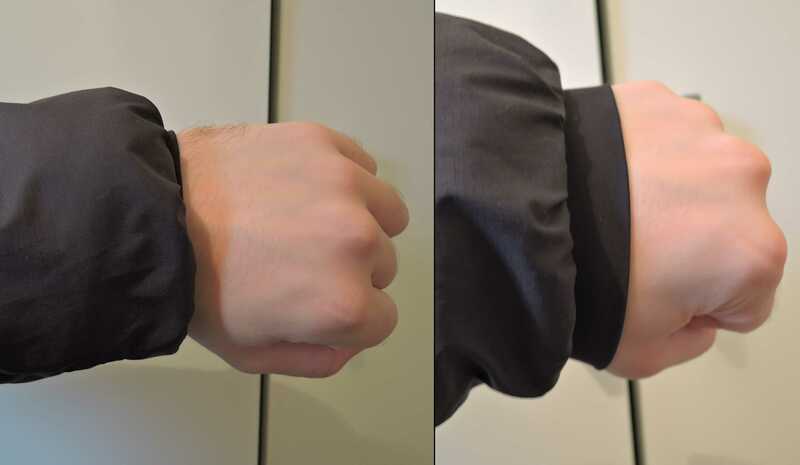 The cuffs are soft and elasticated but they permanently tend to roll under the sleeves. Because of this it gets dirty fairly quick. They have the same filling as the hood. The pockets are two in number found at waist height. The lower part will get covered by the harness, however due to their size can still be accessed. Can take a map or 1L Nalgene Bottle with room for spare. One of the serves as a stuff sack. No chest on internal pockets though. The body is a slim cut and features 120g/sq m of insulation. The front YKK zip is thin and made of plastic. Feels flimsy and a lot of customers have complained it had to be changed at some point. I had no problems so far and I hope it remains that way. At the bottom there are two toggles in order to bring in the hem. Being already tight, I never actually used them. 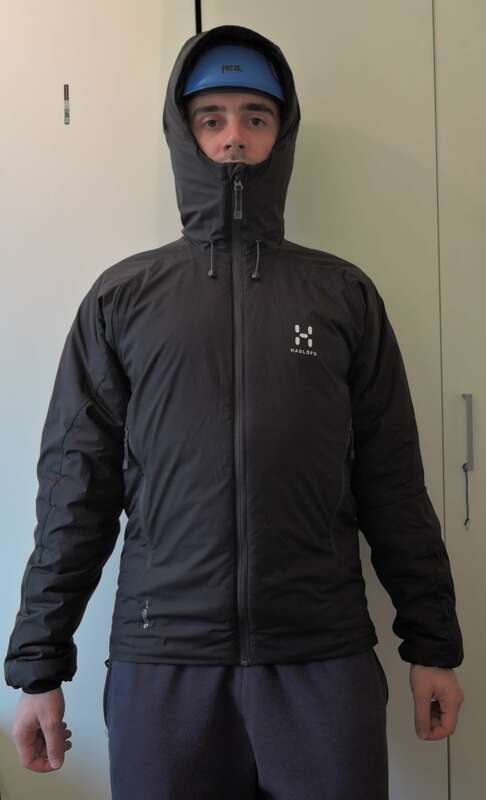 The material – outside shell is a Pertex Eco Classic 50D mini ripstop wave material. Lightweight and thin but quite durable. It got caught in the zipper a few times and not a pinch. It’s soft and pleasant at touch but DWR treated and repels light rain very well. It kept me dry every time I forgot to take my umbrella. As mentioned above, Haglöfs uses its own technology when it comes to the filling – QuadFusion synthetic 50% recycled. 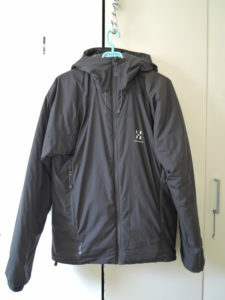 The jacket was initially purchased for winter urban use. I however found it too cold for what it is. Compared to my 120g Primaloft, it’s inferior when it comes to warmth but also at half of the price. Therefore I used it for spring/winter seasons and turned out to be perfect when outside temperature is between 5-12C. If you intend to purchase it for the winter, I would suggest going up one size to accommodate a thicker layer underneath. Being able to pack in its own pocket it’s easy to carry and also has a belt loop so you can attache it to your harness. It would have made a great belay jacket for those chilly spring morning with a better zipper. The big question is, “Does it worth the price tag?”. Not the RRP and I would have probably returned it if I would have paid the full price. Don’t get me wrong, is not a bad jacket at all Is just not the best fit for everyone having tight waist and long sleeves. But if you find it cheaper or even on sale, then definitely yes. And if you are in the market for a jacket with similar specs is worth checking it out. 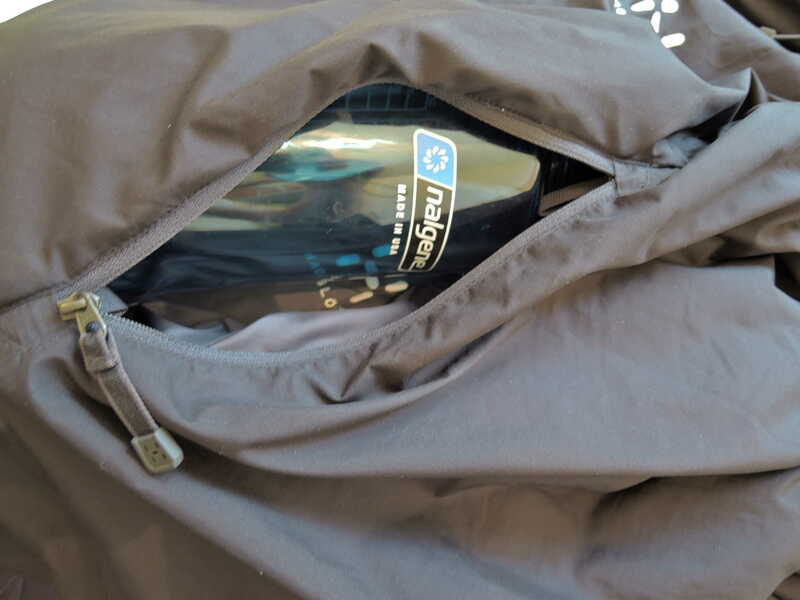 Despite the poor zipper and not having enough pockets Haglöfs Barrier III uses quality materials and at 504g ( for size S) offers a good warmth ration. It will keep you well protected against weather elements and packs small so you can carry it everywhere without a hassle. I never leave without it whenever a spare jacket is needed. I just wish Haglöfs will take their measurements on normal people not just skinny and very tall.